Participants: Sajid Javid MP, Nadine Dorries MP, Robert Halfon MP, Stephen Hammond MP, Rebecca Harris MP, Phillip Hollobone MP, Mark Menzies MP, Sheryll Murray MP, Amber Rudd MP. 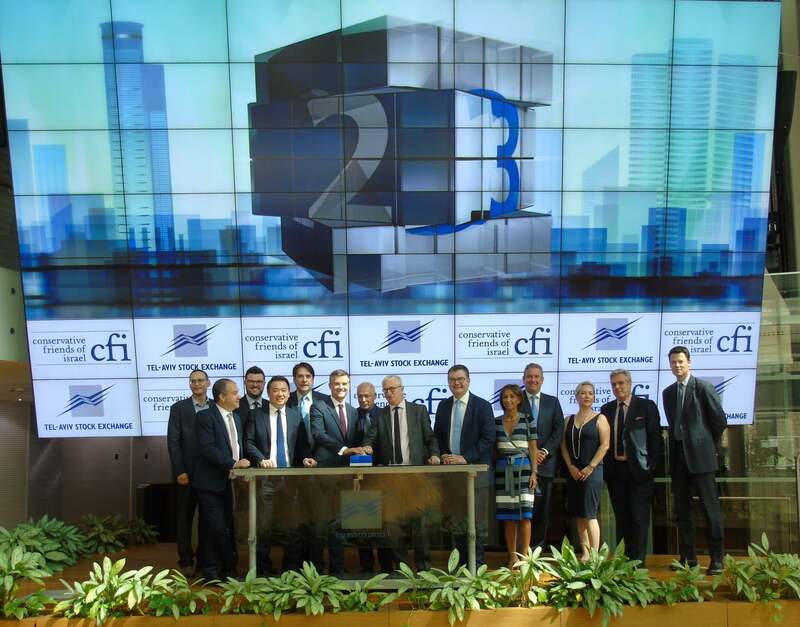 In May 2012, CFI led a business and security orientated delegation to Israel and the West Bank for nine Conservative MPs, two conservative commentators and three political advisors. The busy itinerary included a briefing with Deputy Foreign Minister, Danny Ayalon and an insightful cross-party meeting with Israeli MK’s. During a day-long visit to the south, the group travelled to the town of Sderot near the Gaza border to meet with the town’s Deputy Mayor, see the different type of rockets launched from Gaza and sample the local cuisine. The group also had the opportunity to visit the Erez crossing point at the Gaza border where they received security and humanitarian aid briefings. On their visit to the Palestinian Authority, the delegation visited the Rawabi development, which is fast taking shape and is set to become the first Palestinian-planned town; before meeting with Palestinian businessmen and politicians. Her Majesty’s Ambassador to Israel, Matthew Gould, hosted a briefing about the recently established UK/Israel Tech Hub and a private dinner during which he spoke warmly about the strengthening of the UK-Israel bilateral relationship, with record levels of trade and scientific exchange. Other events on the visit included a tour around Israel’s Yad Vashem Holocaust Museum, a visit to electric vehicle company Better Place, a briefing session on Palestinian hate education and incitement with Palestinian Media Watch and dinner with renowned Israeli academic Asher Susser. 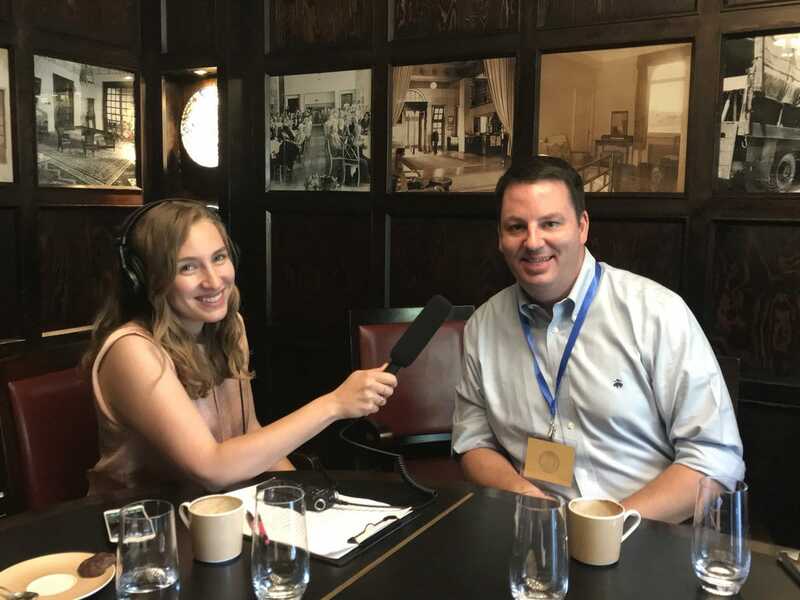 "Prior to the CFI trip, I had been to Israel as a businessman and as a tourist - but I had never previously had the opportunity to focus on the political and security issues that face all Israelis and Palestinians. The visit was extremely well organised and, significantly, included discussions with people from all sides of the political spectrum. It convinced me that the desire for peace in the region is very strong, despite the obvious challenges. 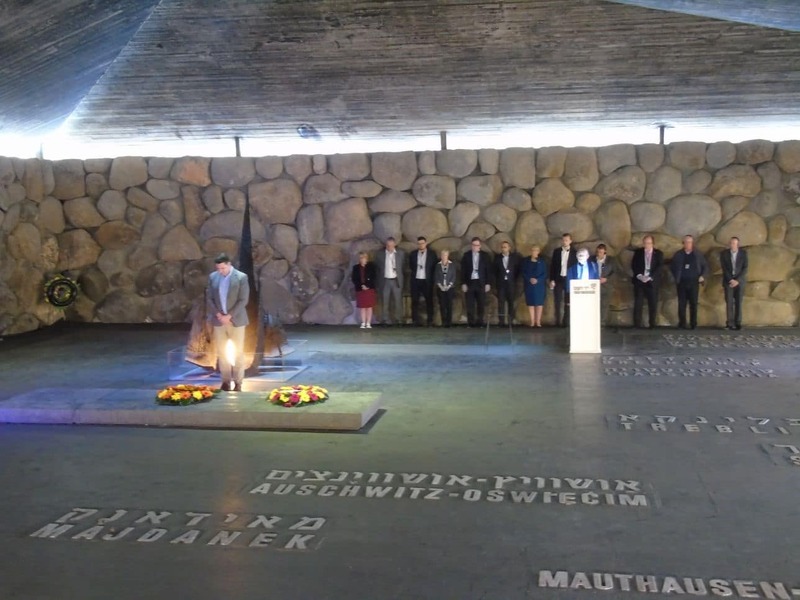 I was also particularly moved by our visit to the Jewish people's living memorial to the Holocaust, Yad Vashem. It was a very emotional and sobering experience that helped me appreciate the importance of the State of Israel." "The visit to Israel and the West Bank with CFI was a winning combination of being informative, educational and enjoyable. Having set myself the goal of really getting to grips with understanding the Israel/Palestine issue over the course of a year, I found that the places we went to, the people we met and the issues we discussed on the CFI visit were all exactly the right ones and I am struggling to think how the trip might have been improved. The packed agenda was clearly the result of careful thought and masses of effort beforehand to getting the visit exactly right and it certainly paid off. To my mind, the CFI visit was a perfect introduction to understanding the hugely complicated issues that surround Israel and its neighbours." "My recent visit to Israel was fascinating, stimulating, informative and enjoyable. I have always believed that to really understand issues a visit or a meeting is invaluable. And what makes the CFI trip so special is the ability to meet politicians, businessmen and academics as well as ordinary people. 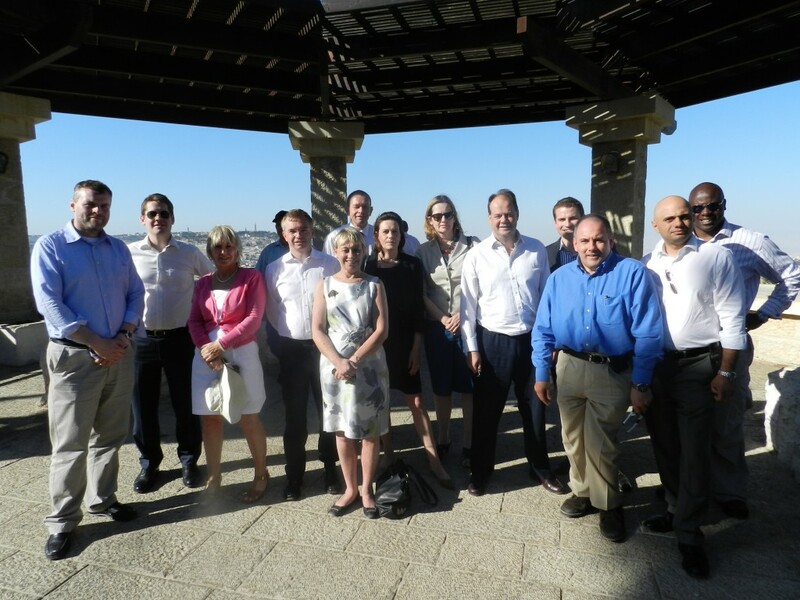 Our trip allowed us the varying experiences of visiting the Knesset and have discussions with Ministers, meeting businessmen in the West Bank, and experiencing Israeli high-tech. The complexities and challenges of the politics of the Middle East and their geopolitical repercussions become real through experiences like this trip."